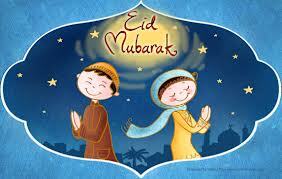 Today is the official Eid Al Fitr celebration of all Muslims all over the world. For Muslims it is one of the most joyous days in the Islamic calendar,Â Eid al-Fitr, also known asÂ Eid ul-FitrÂ orÂ Eid, is a celebration that marks the end ofÂ RamadanÂ (a holy month of fasting observed by Muslims). Today is also the start of a long vacation of expats working in the Kingdom of Saudi Arabia. So where are you going to spend your vacation? For my family, we will enjoy our vacation by spending more quality time, perhaps mall hopping, dining out, cooking, watching movie or even playing table tennis. So whatever you do, make sure that it will be a memorableÂ Eid Al-Fitr Vacation for You.